We are delighted to announce that we won Local Club of Year at this years Sunday Mail & SportScotland Scottish Sports Awards. This event was held on Thursday 5th December at the Thistle Hotel, Glasgow. North Ayrshire TTC were first of all shortlisted as 1 of 3 finalists alongside Astro Gymnastics Club (Livingston) and Claymore Boxing Club (Fort William). Winning this award is a great achievement for everyone at the club and congratulates the players, coaches and volunteers for all their hard work they have put in over the years. 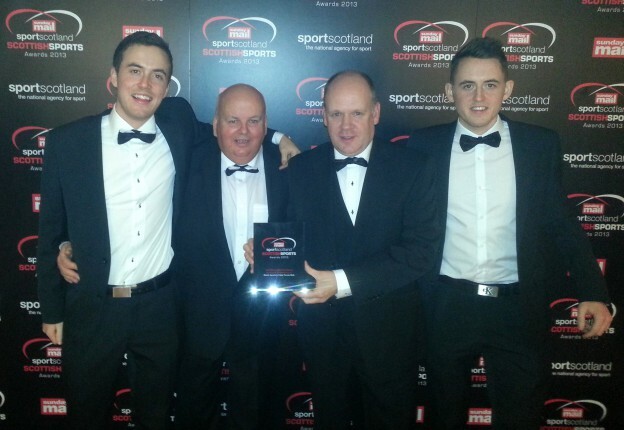 To view pictures from the awards night – http://goo.gl/eqmbKC and to view club video and Billy Mains interview from Sunday Mail website – bit.ly/18gy2qX .